Looking for reputable Packing Service in Miami, Florida? Then a packing service Miami company like Mint Movers will get the job completed. As experienced Miami packing service, we've got the experience and personnel to manage any move - large or small. Relax knowing your valuable belongings will be handled with the utmost care. As a fully insured packing service, you will enjoy flat rates and a damage-free guarantee. For guaranteed reliable and professional packing and moving services in Miami, FL, Mint Movers is the company you can rely on. Moving to a new home can be quite challenging and stressful. While there are many companies out there that offer the same services that we do, we promise to efficiently and carefully move all your stuff without any stress and hassle on your part. Our highly competent and professional packers and movers use the latest equipment to carry out our services. Our people use quality standard materials to pack and move even the heaviest and most delicate of your belongings. Our people are trained to do specialized techniques to warrant the most efficient and safe way to pack your possessions. Mint Movers provides full service solutions covered by a damage-free guarantee on your possessions. We offer services for interstate and long distance moving. We seriously take our responsibility as the trusted provider of home packing services in Miami. We ensure that we are protected by law and that our clients’ possessions are protected as well. Mint Movers is a duly registered company with the requisite licenses and permits to operate in Miami, FL. Our house packing services are fully insured and bonded. As we are covered by comprehensive insurance, you are assured that your possessions are prepared and moved safely to your new house location. We offer honest and fair pricing for our packing services for moving. Hiring full service moving companies to pack your stuff may not be as expensive as you think. In fact, our services are offered at flat rates so you can be assured that there are no unnecessary charges or hidden fees added. We will give you a free estimate on the appropriate services needed for your move. Perhaps you will require us to pack your entire belongings or just a few select rooms. Regardless, we will come up with a custom quotation that is detailed, fair and transparent for the services that you need. Mint Movers recognizes the need for reliable professional moving services in Miami, Florida. With us, you can entrust your belongings without having to worry about their safety. Our services are handled by our professional movers and packers who work fast but with utmost care. Our packers have years of experience to pack all kinds of stuff – from china and porcelains to antiques and bed linens, we have you covered. Our expert local movers and packers are extensively trained for specialized packing techniques to guarantee that all of your belongings are secured. We also see to it that they receive ongoing training to better cater to your moving requirements. While our team maintains professionalism, they are also friendly and approachable so if you have questions on how to pack certain items not covered by our company’s services, they can offer some valuable help. Mint Movers prides itself on 100% customer satisfaction guarantee; thus we make sure that our services are done using only high quality materials and the latest equipment. We have varied sizes of sturdy moving boxes that can fit your belongings. We also have special containers for delicate items, breakables, and the like. To safeguard the moving boxes from accidentally spilling or getting opened easily during transport, we use heavy duty sealing tapes and materials made of superb quality. 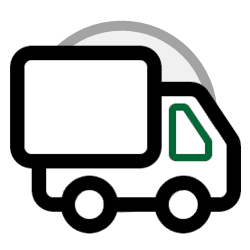 As mentioned earlier, we use specialized techniques for our services so your belongings and possessions arrive at your new home safely and in the same condition as before we packed them. Why Choose Mint Movers in Miami, Florida? Our services will make your entire moving experience stress-free. We will take extra care of your possessions. It does not matter if we are doing the full service or just preparing your stuff for the move—our services come with a damage-free guarantee. We offer some of the most affordable rates today, and we have expert packers and movers who can pack even the most fragile of your belongings. Mint Movers uses a highly specialized technique with excellent quality moving boxes and materials to secure your stuff. At Mint Movers, we believe that moving to a new home does not need to be stressful, frustrating and expensive. Let the professionals do it. Our returning clients are proof that we are truly committed to providing impeccable services. For your peace of mind when moving to a new home, trust only Mint Movers. Entrust to us your belongings—we will handle them with utmost care as if they are our own. While we work fast, we make sure that we do our work with efficiency. If you are ready to move to a new home, contact us today. We will be very happy to discuss with you our packing and moving services in Miami, FL.